Angels are all around us at all times. All we need to do is call upon them and ask for their help. They cannot intervene without being invited to do so. Here is a guided exercise to help you become closer to your angel and allow them to help you in ways that you never thought possible. To raise the energy in the room, light a candle and have crystals, plants or flowers around you. Spiritual books in the room also helps lift the vibrations, as does beautiful music. Before you begin your inner work put out the intention that whatever happens is for the higher good. 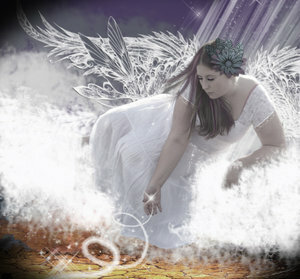 Ask for the angels of light to come to you to protect and heal you. Invite your guardian angel to come close. Feel its gentle wings enfold you and relax you into safety. Enfolded in the love and security of your guardian angel, become aware of other angels around you and how much love each has for you.